This video is part of the appearance, “Quali Presents at Tech Field Day Extra at VMworld US 2018“. 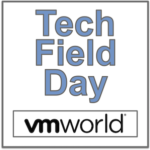 It was recorded as part of Tech Field Day Extra at VMworld US 2018 at 14:30 - 15:30 on August 28, 2018. Roni Dover, Director, Technology, introduces Cloudshell, their cloud sandbox software. This was build with DevOps culture in mind, and offers self-service EAAS.